TORONTO, June 2, 2016 /CNW/ - The pressure of job losses in regions where oil and gas is produced continues to drive consumer insolvencies sharply higher. The end of a period of rising consumer proposals and bankruptcy filings is not yet in sight, according to the Canadian Association of Insolvency and Restructuring Professionals (CAIRP). The number of bankruptcies and consumer proposals in Alberta, Saskatchewan, and Newfoundland and Labrador all rose significantly in March while falling in many other provinces, as reported by the Office of the Superintendent of Bankruptcy (OSB). In Alberta, where the bulk of Canadian oil and gas is produced, the total number of consumer insolvencies filed in March 2016 was 43.6 per cent higher than in the same month a year before. In Saskatchewan, insolvencies were 22.2 per cent higher this past March than a year earlier and Newfoundland and Labrador, which not only has its own oil and gas industry but is home to many workers who travel to the western provinces, saw a rise of 46.8 per cent. Meanwhile, total insolvency filings in Canada for the 12 months ended March 31, 2016 were up only 2.8 per cent and were basically flat in Ontario, Quebec and British Columbia. "This is consistent with the experience in the last few months where the provinces faced with declines in employment income due to the drop in oil prices are hardest hit and, not surprisingly, have the largest increase in insolvency filings", Ian Schofield, CAIRP Board Secretary and a Saskatchewan Licensed Insolvency Trustee. Canada's energy sector employed about 300,000 workers in 2014, according to Natural Resources Canada. But the petroleum industry has lost an estimated 40,000 jobs over the past two years, and such massive cuts inevitably have left some laid-off workers without the means to make monthly payments. When an industry loses jobs in an economy that doesn't have a lot of diversity, insolvencies rise. "It is interesting to note that bankruptcy filings increased faster than proposal filings on a month-over-month basis in March," Mr. Schofield said. "This may indicate a trend where more people have no choice but to file bankruptcies as their incomes have dropped to the point that they do not have enough to file proposals – an option that might have been available when incomes were higher." "Canadians who find themselves in serious financial difficulty should first visit a Licensed Insolvency Trustee to get thorough professional advice", says CAIRP President and Chief Operating Officer Mark Yakabuski. "Licensed Insolvency Trustees (LIT) are the only professionals licensed by the OSB to administer insolvency proceedings. They are professionals who can arrange for a stay of most creditor actions, and can provide Canadian consumers with advice on all of their debt repayment options." 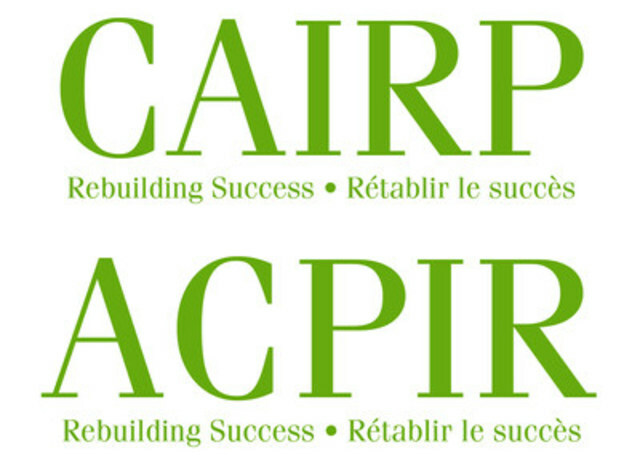 CAIRP is the national association that represents nearly 1,500 Licensed Insolvency Trustees and associates. CAIRP is committed to providing consumers with better information about the options offered by Licensed Insolvency Trustees to assist consumers and businesses when they are insolvent, and to clearly distinguish our members from unlicensed service providers. Requests for interviews with CAIRP spokespersons can be arranged via the media contact below.